Some people brought a blind man to Jesus and begged him to touch him. This is the first full day of Spring, dontcha know, and while it will be sunny and hopeful, it won't be warm. 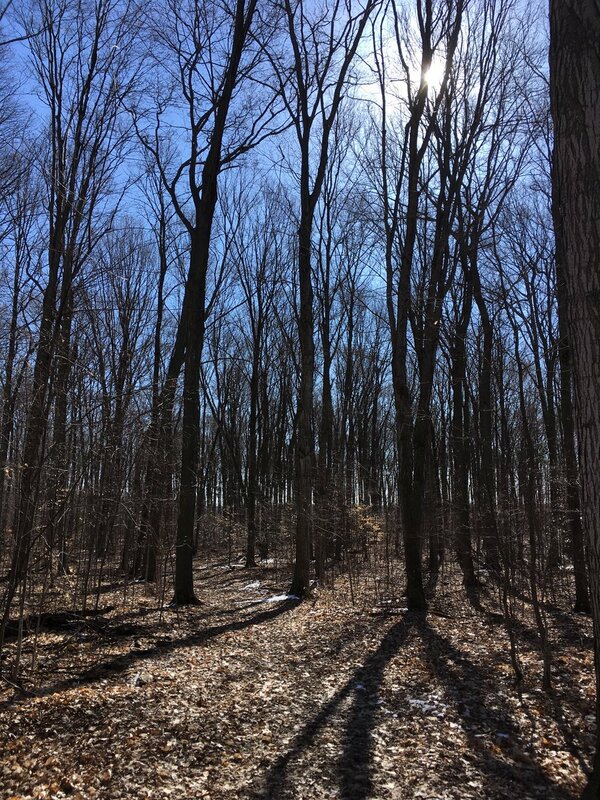 As predicted, this has been a chilly March, which means that trees in our "neck of the woods" haven't been tricked into early budding. Six years ago fruit trees in Southern Ontario were tricked out of dormancy by a stretch of warm March days with disastrous results for the eventual meagre crop. 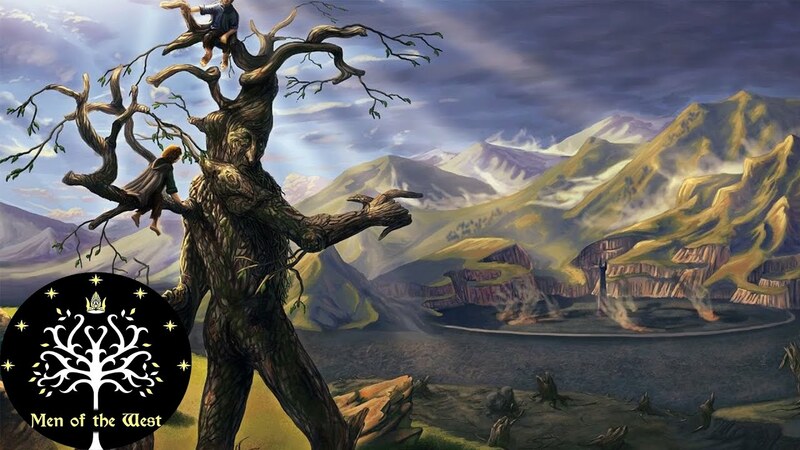 Today is the International Day of Trees and as a person of faith in the Judeo-Christian tradition I feel that I must honour trees which are essential to the beginning and the conclusion of our bible. There is a profoundly spiritual quality to a walk amidst trees, whether the giants of Vancouver Island America or the wind-shaped dwarfs of coastal Newfoundland. 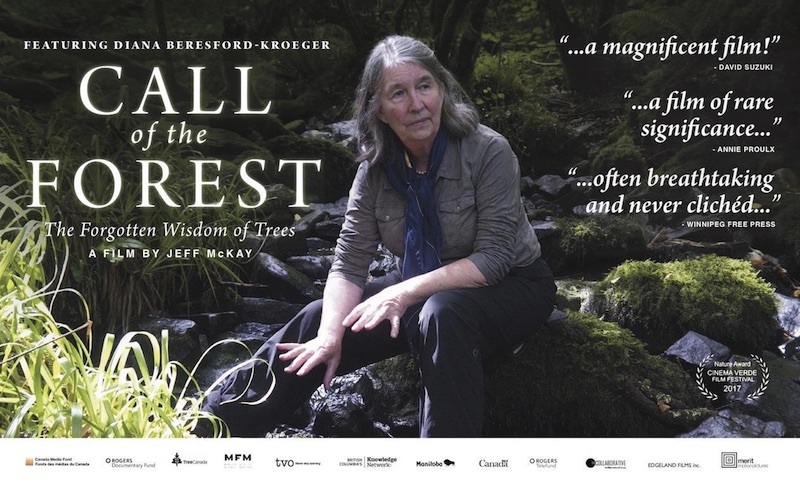 One of the documentaries I enjoyed most during Belleville's recent Docfest was Call Of The Forest – The Forgotten Wisdom Of Trees, a documentary featuring scientist and acclaimed author Diana Beresford-Kroeger. As the blurb describes it, "the film follows Diana as she investigates our profound biological and spiritual connection to forests. Her global journey explores the science, folklore, and restoration challenges of this essential eco-system." You can watch the entire film at TV Ontario. Beresford-Kroeger resides in Canada but grew up in Ireland where as an orphan she was versed by elders in the old ways of receiving the gifts of the wild places, including woods and forests. There is plenty of science in the film but there is much which resonates with the earth-honouring Druidic and Celtic Christian traditions. My encouragement for you today is to answer the call of the forest. Get outside, even in your own yard, and consider a tree or three, or three thousand. They are the lungs of the planet, and a source of wonder and spiritual renewal.